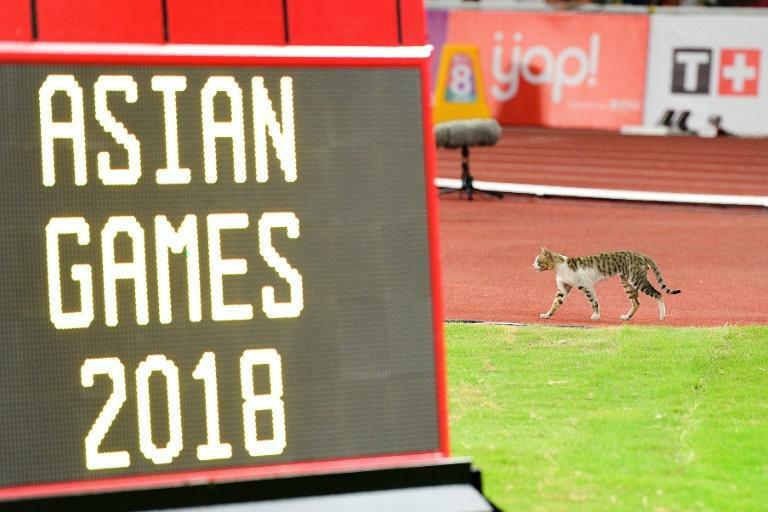 Marathon winner Hiroto Inoue was accused of pushing his way to victory and a feline invader was spotted on the track as the Asian Games athletics competition opened in chaotic fashion on Saturday. Bahrain's Elhassan Elabbassi accused Inoue of shunting him when they tangled during a dramatic sprint finish -- which the Japanese runner won by a whisker. But race officials rejected complaints from both athletes and allowed Inoue's win, in a time of 2 hours, 17 minutes and 22 seconds, to stand. It followed an unusual opening to the race in tropical Jakarta as organisers ordered athletes to run to the start line, apparently because they were late. "We were all walking down and they were like 'Run! Run for the start!'" said Tony Payne of Thailand. "It was pretty hectic. They made us run an extra warm-up!" 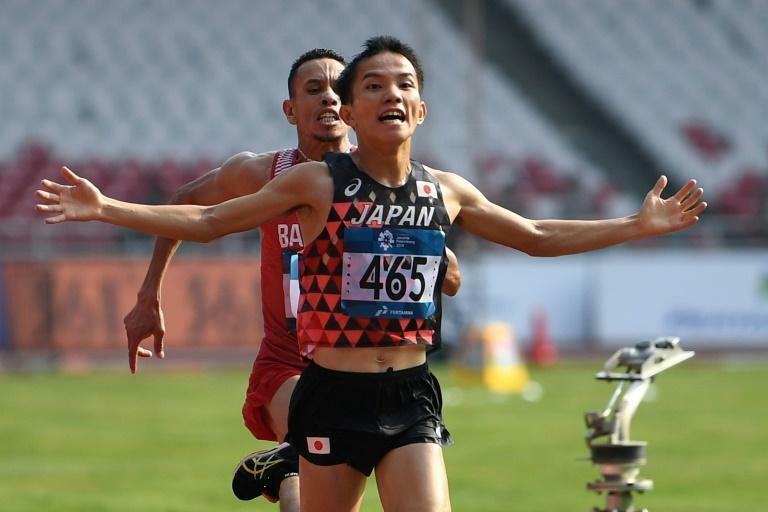 Inoue's winning time was the slowest at an Asian Games since 1982 in New Delhi, as the runners struggled with Jakarta's baking heat and stifling humidity despite a 6.00am start. Duo Bujie, a Chinese athlete from Tibet who took to marathon running after a childhood spent herding yaks, finished 26 seconds further back to take bronze. 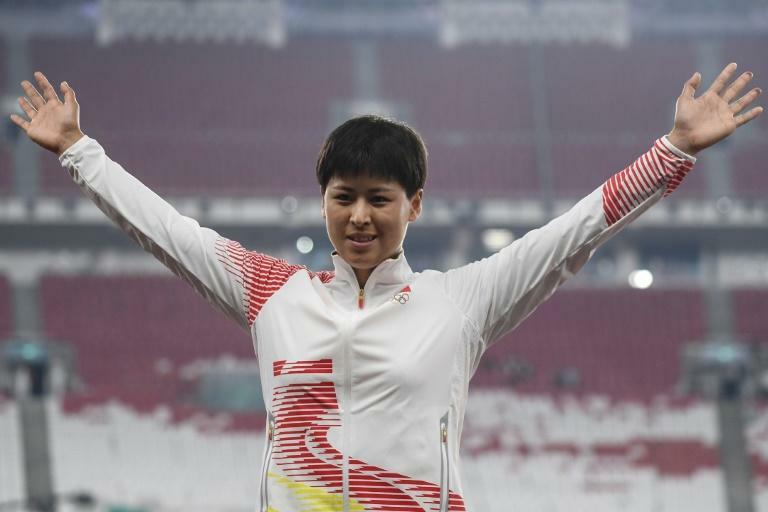 Later China's Su Bingtian, who shares Asia's 100 metres record, sailed into the semi-finals ahead of an expected attempt at a new mark on Sunday. Su's 10.27sec was enough to win his heat but only the seventh-fastest time overall, and way off the 9.91 he clocked in June to equal Femi Ogunode's Asian mark. "There are many races later, so for me, this one does not need to be the best," said Su. "For me, I just need to have my normal performance, should not think too much," he added. China continued its dominance of the women's hammer, claiming both gold and silver for the fifth consecutive Asian Games -- a record stretching back to the sport's introduction. Daria Maslova won Kyrgyzstan's first ever track medal at the regional Olympics, storming home in the women's 10,000m with a time of 32:07.23. Most seats remained empty in the morning session, but by the evening thousands of boisterous Indonesians had packed into one end of the stadium. They were able to witness an unusual sight when a stray cat trotted along the track and onto the infield during the women's 100m hurdles heats. But the crowd's loudest cheer of the night was for homegrown teenage sprinter Lalu Zohri's victory in his 100m heat. The rags-to-riches story of world junior 100m champion Lalu -- who hails from earthquake-struck northern Lombok, and grew up in a bamboo shack -- has won hearts across Indonesia. In the final medal event of the day, Tajinderpal Singh Toor claimed India's ninth-ever gold in the men's shot put, but their first since 2002.